Romanticism can be present, if you wish, in any corner of your house. If it seems to you, we’ll move you to a room that you can dress with a lot of love; it is a series of very romantic bedroom decorating ideas that will serve to design a very delicate environment that you can share with your loved one or where you can conquer who you most want. The base is to be clear that it is a place for rest, so the soft colors should be the protagonists. Then you can dress this space in many ways. Let’s see some of them. The bed is the furniture that often becomes the focal point of the bedroom. Their presence is important and if you want, the room to have a very romantic air can bet on wrought – iron beds or wood. They look great too even if they are placed directly on the floor or with a low bed base. 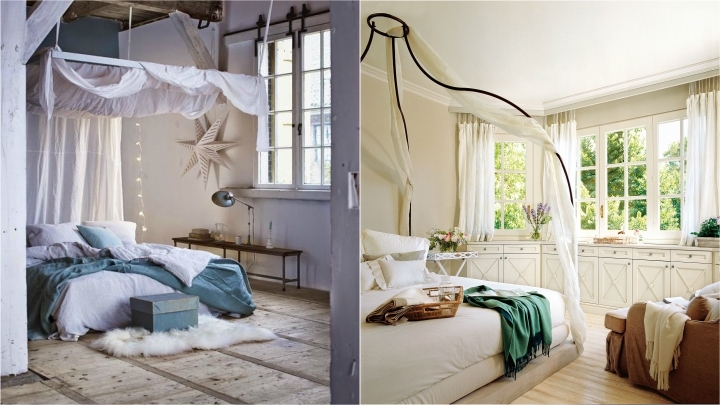 One of the most classic and not less romantic ideas is to place a canopy in the double bed. It is placed around the structure that light veil that usually give this furniture a very romantic and special air. They look great in white colors, for example. Another way to give the room a very romantic aspect is creating in him a special place dedicated to reading or to enjoy pleasant moments of disconnection. You can place a small side table with a comfortable chair and decorate it with a vase with flowers. In order to bring to the bedroom those relaxing and inviting sensations that invite romanticism to stay, it is very important the lighting that you give to this area of the house. Opting for lamps with dim light that are elegant and create a warm and serene atmosphere. Avoid the lights too strong or clear, and even if you have a ceiling lamp do not forget other more strategic points and light. Sometimes, to make your bedroom so romantic, you can simply place small decorative details that help create that intimate and welcoming atmosphere. For example, you can put some soft cushions, some flowers, a fruit tray, some books or some candles, all will be perfect for the stay acquires a very warm and comfortable air, with that romantic touch. Textiles play a fundamental role in this decoration. The bed should wear a comforter in soft and neutral tones, avoiding the strident, and if you put large and comfortable cushions on it, you will be giving a much more welcoming. A very decorative idea is to put a blanket knitted or hair on the foot of the bed, and perhaps on her to leave the breakfast tray when you want to surprise your partner. The aromas that fill a house are part of its decoration. Give it a personality only we can bring into the bedroom by placing scented candles, incense or some natural essences to awaken the romantic side of those who will be in it. 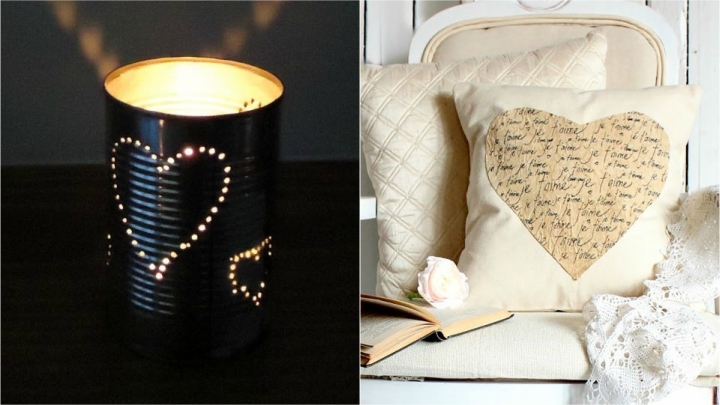 Some perfect aromas for a night of love can be jasmine or lavender.